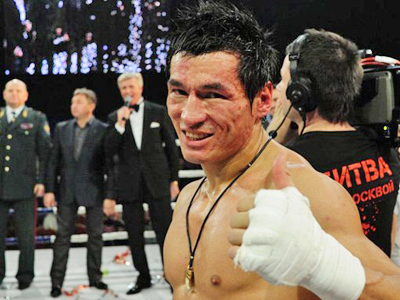 Multiple kickboxing world title holder Batu Khasikov has brought joy to his fans by announcing a rematch with Mike Zambidis, the 15 time World Champion beaten by the Russian last November. Khasikov is currently one of the best kickboxers the sport has to offer. 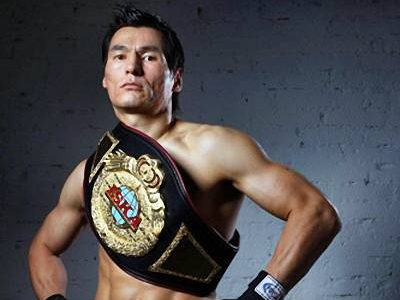 The Muscovite made headlines last year by defeating the sports legend Albert Kraus. He now holds six different titles, including the prestigious K-1 and W5 World Championship belts, and is now preparing for a rematch with the Greek kickboxing great whose jaw he broke – Mike "Iron" Zambidis. “It was a great bout with Zambidis, so for those who enjoyed it, I have some good news. The story continues and we'll have another go either in October or December. We're both really looking forward to the fight. I'm as motivated as I ever was to win,” he says. Meanwhile, Khasikov has been working with the CrossFit social project, which kicked-off in Moscow's famed Gorky Park this week. Renowned Russian athletes will hold training sessions to try and encourage more people to get involved with sport. It doesn't promise belts or silverware of course – simply exercise and a good day out.